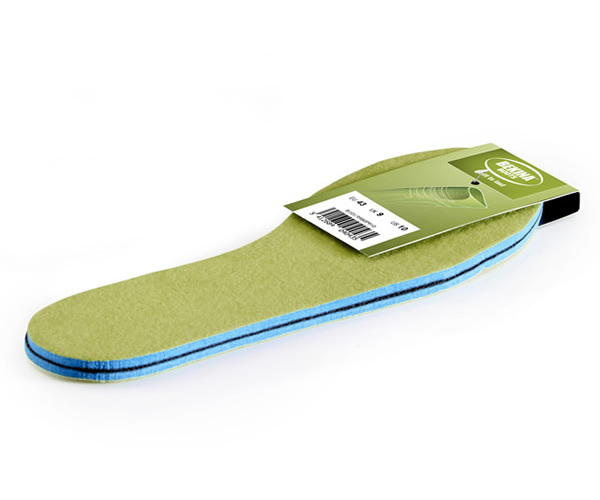 Bekina insoles have a thick top felt layer, and are slip-resistant thanks to a rubber underlay and do not curl up. 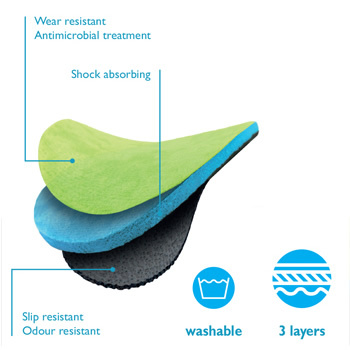 Since the insoles are removable and washable at 30°, they are very hygienic. An additional advantage of these insoles is that they are both cold-insulating and moisture-absorbing.